I think one of the biggest things that stops people from achieving things is their fear of failure. But in reality, it’s doubt that starts the whole ball rolling. Doubt about your talent, about your skills, about your abilities, about your intelligence, and so on, are the things that even prevent you from trying. Doubt is something which precedes fear, which ignites and inflames fear, which stops most people from even pushing a little bit outside of their comfort zones. You’ve heard the old saying that belief can move mountains… Well, doubt can construct those mountains… How do you avoid this? Build more belief! 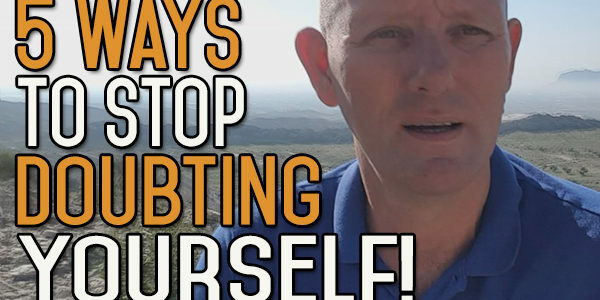 In this video I’m going to be talking about planning, overthinking, using your past doubts, avoiding spinning your thoughts out of control, and keeping an air of confidence about you. Today, I want to talk about 5 different ways that you can stop doubting yourself, you can work hard and you can make things happen. You can get on with this journey. Procrastination is one of the biggest thing that stops people from moving forward. The more you procrastinate, the more it’s going to stop you from moving forward, because it has its own momentum. Procrastination becomes habitual, and before you know it, it’s a part of your behaviour to put things off. Another one of the prerequisites of success is that you’ve got to work hard. You have to put in those extra hours. Put in that extra effort. Working hard doesn’t guarantee success. Once you put the extra effort in, it doesn’t mean you’re automatically going to be successful doing it. It makes that success a lot more likely to happen. First thing is, don’t feel that you have to plan everything in order to succeed. I love the whole thing about planning. I love having a goal to aim towards. I think if you don’t have a goal, you’re just basically spinning around in circles. But, I love having that plan at the end of the day. I love figuring out how I’m going to get to my goal. I’ve got a 5-year plan, and I’ve got each year step by step approach to how I’m going to get to that 5-year plan. Each year, I know I can break down each part into chunks and figure out how to get to the end. But you can get to a point where you’re breaking things down too much. Sometimes it’s just about getting a move on and going with the flow. 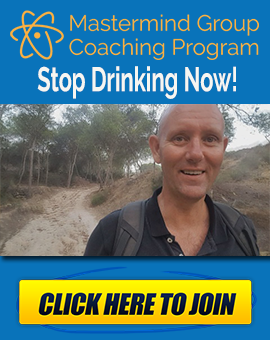 The plan that I had 5 years ago when I quit drinking and started alcohol mastery has very little semblance to what I’m doing now. I had a 5-year plan of where I wanted to be, and I did break it down into yearly plans. But by the time I got to the first year, I was just heading in a different direction, so it changed the way I was going. I think I’ve done that for the last few years to be honest. You can only stat out with what you know. You can only start out from the perspective of what you know. As you learn more things going forward, your plans are automatically going to change, because you’re being taken in a new direction. If you get too stuck with the finer details of a plan, you could get upset about not having achieved this or that, sometimes the goals are just not worth reaching but you don’t realise it until you have got to the goal before that. Certainly have a larger goal that you’re working towards. Break those goals down, but always try and work in a margin of error along the way. Work in the fact that you’re going to be hanging a lot of these things. Remember that going towards these goals is as much about the journey as it is about reaching the destination. It’s more about the journey because you never know what’s gong to happen around the corner. You might never reach the destination, so you have to be happy enough being on the journey. That brings me to the next part which is, don’t overthink things. Don’t overthink the whole process. It’s good to have this plan, but sometimes we can just get bugged down in the thinking part of this whole thing and not get anything done. How many plans has that killed, how many people’s dreams? Just being stuck thinking and thinking. I’m one of the worst people for this because I tend to like to plan. I like to write things down and think things through before I make a move. I’ve learned that if I don’t take the first step forward, then sometimes, it’s not going to happen. I’ve got to plan to a certain degree because that’s how my brain works. I have to put it down on paper and think about things and know that I’m nearly there, but then after that, I tend to take the first step because I’ve learned form my own experiences. Once you do take that first step, then the second one may appear to be a lot clearer. It might be more vague, but you might not want to take that second step. 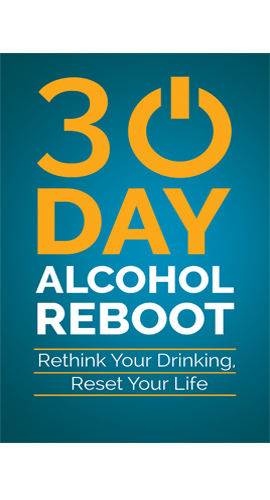 When you quit drinking, that first step is going across the line. It’s moving towards the why. This is the reason for quitting out there, and it’s in the distance. You know why you’re doing this and you’re aiming towards that. Once you get to 30 days, you have more experience, same as with 60 and 90 days. You can change as you’re moving along, but there’s nothing that takes the place of taking the action and getting out there and doing it. All the thoughts you want to do in the world is just that. It’s thoughts. It’s not moving you towards an end goal, because what’s going to do that is action. So don’t get too bugged down in the thinking part. The next part is to remember all your past doubts. I’m not telling you to think about your past doubts and about how they have affected the way you’re going now, but remember that most of the doubts you ever had hadn’t gone trough. Most of the fears we have about things never come true. It’s the part of you that doesn’t like the change. As soon as they think that there’s going to be a change, then they often want to lie down and go to sleep and pretend nothing is happening and just remain the same. They are the ones that present all these doubts to you. Just be cognisant of the Gremlin. Be cognisant of that voice, and that it is the voice trying to protect you, but in a way that is stopping all growth. This type of thinking, all it does is try to keep the status quo, but that’s something which is just going to keep you where you are, or worse, bring you back down again. Another one is to interrupt the pattern. Don’t allow your thoughts to spiral out of control. Most of this stuff is down to your thinking. You have to think these things first and understand. Only when you understand can you do anything about it. 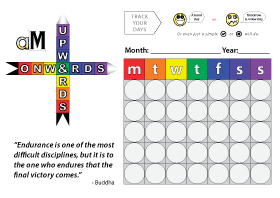 So, you have to use pattern interrupts, which is understanding what you’re doing, think about the doubts, think about where they are pushing you. Think about the reality of the doubts, and just say to yourself, ‘stop it!’, or ‘I persist’, and then do it. Put all that thinking into action and start walking the walk. Time for talking and time for thinking is over. Walk the walk. It’s the biggest thing to get over your fears is to actually go out and do them. Action is that one thing that no matter what you do…If you’ve ever gone out running, you’ve had mornings where you just felt that you didn’t want to go out. Anyone who has gone out walking…anyone who has done anything that they know is going to take a bit of hard work to do. It’s difficult to get that started. It’s difficult to put those running shoes on and get out the door, but once you do that, once you get out the door, once you start running and doing the thing that you know is going to e hard work, it becomes easier. That’s what I’m talking about with just a pattern interrupt. It’s changing the direction you’re going, changing the way you’re thinking in order to change the way your thoughts are moving. The fourth way is to fake it until you make it. I’ve spoken about this before. One of the things that we have fear of doing because we think we don’t know how to do them, we think we’re going to make fools of ourselves, and in a lot of cases, most people who have ever done anything have to start from a certain perspective. You start as a beginner. If you start out as a runner or moving into a new business or whatever, you start from the perspective of a novice. You’re going to make a fool out of yourself, but everyone does this, so no harm no foul. The difference between some people and others is that some people have an air of confidence about them. They don’t let it get on to their backs. They allow the failure to slide often like water off a duck’s back, and they move on. You can fake it until you make it. I once saw a Ted talk with a woman. She was talking about posture as being one of the most important things you can do, to have that air of confidence and build that stamina in yourself, that bit of get-up-and-go before you actually start getting up and going. She was talking about doing the wonder woman stance. I’ll refer you out there on the blog. If you’re a woman, then look at this from the perspective of Wonder Woman. It’s doing the Superman pose. It’s standing there with your head up, your shoulders back, your chest out, and your arms on your waist. You stand there like Superman, your feet planted a shoulder-width apart. You’re just taking deep breaths and thinking ‘I’m Superman’. I know it sounds stupid but it fills you with confidence. It gives you something different. You don’t have to do this in front of people. I’m not saying that when you are dong something and you need to have confidence, you need to stand up and do your Superman pose in front of people. Take yourself off to the toilet or a quiet room and just do it. Another way is to walk around like Rocky, when he runs up that staircase in Philadelphia. Once he gets to the top of the steps, he sticks his arms up in the air. Doing that is another way of giving you confidence. They are simple solutions, but it’s a pattern interrupted. It interrupts your pattern and pushes you into a different way of thinking. It’s all about trying to short-circuit the doubts. Just enough time to get you moving and moving forwards. So, don’t plan every detail. Sometimes you just need to get across that line and start moving. You don’t have to overthink things. Don’t get so bugged down in the thought process that you can’t take action because you haven’t thought things true. Remember all your past doubts. These are the times you’ve had doubts about the things you can do and you’ve done them anyway and you realised the past doubts weren’t really true at all. Try to use as many pattern interrupts as possible. First of all get the doubts to the surface and realise that this is what you’re doing. Shout ‘stop it!’ to overcome the Gollum. And then finally, use something like the Superman pose or the Rocky pose to just give you enough fake it until you make it mentality to get you moving forward. If you have any suggestions for videos, same thing. 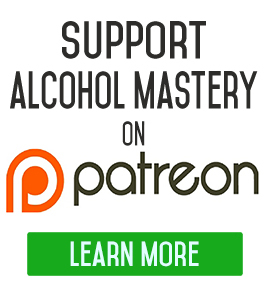 Come on over to the website if you want to get out free Alcohol Mastery starter pack which has a couple video boxes and books just to help you out in those first few weeks. Until next time, take care, keep the alcohol out of your mouth, keep moving forward.